Sous Vide is the Best Way to Cook a Steak, Period! What are Bluetooth Precision Cookers? It happens to the best of us when we’re cooking at home. We’re no professional chefs. But really, it isn’t an excuse. We are living in a modern era, where even our kitchens’ got high tech gadgets and tools. Food preparation at home, for our loved ones and guests, have been made so much easier. Back in the day, we cook meat in such an un-calculated manner. We end up with tasteless, tough, undercooked and overcooked dishes. Achieving the right amount of temperature to cook chicken, pork, beef and even fish used to be so hard. Lately, there’s a cooking style that’s sweeping everyone off their feet. Tender and flavorful meat, like those we pay big bucks for in five star restaurants, but cooked at home and by non-pros. What is it? It’s sous vide. Sous vide, in case you lived under a rock and didn’t know, is a method of cooking where you place meat and flavorings inside a plastic bag. The bag is then vacuum sealed and cooked in a sous vide machine or a water bath. A water bath basically is a pot filled with water. The bag does not float because it’s been vacuum sealed, meaning oxygen has been sucked out of it. Therefore all sides are exposed to heat. The temperature is regulated and timed based on recommendations. This technique allows meat to retain all its yummy juices while being cooked to perfection. Since it is tightly sealed, water does not go in and the flavors and meat juices inside do not spill out. With all the flavors locked in, you cook your chicken, pork, fish or any meat as if marinated for hours.Absolutely tender and delicious. So what does bluetooth and cooking have to do with each other? The bluetooth application on our phones can now be used in precision cooking. 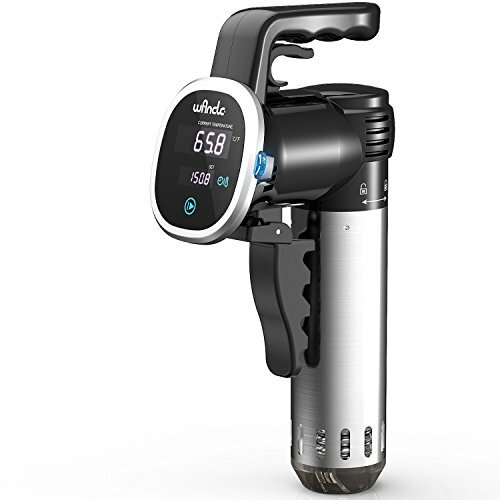 For $150 to $250, you can get a bluetooth enabled precision cooker that will allow your sous vide to be cooked perfectly. The bluetooth cooker is an immersion circulator or a thermal immersion circulator to be exact. Basically, it is an electrically powered device that circulates and heats water or any liquid. Careful though, not all models are designed to be used in other liquids aside from water. Going back to the circulator, the kitchen tool keeps water at a precise and stable temp. That is why it is perfect for sous vide cooking. The immersion circulator can be used with the pots you already have at home. You won’t need to buy the expensive sous vide machine. You only need the bluetooth precise cooker. And yes, since it can be connected to your smart phone via bluetooth, you can control and operate the cooker remotely through a free to download application. Apps also contain sous vide recipes for you to try. You can cook perfect meat dishes while keeping an eye on your curious toddlers or while watching your favorite soaps. If you are going to buy this gadget, make sure to choose one with an adjustable clamp. This will allow you to use it on any pot you have at home. Those with detachable stainless steel skirts are easy to clean. 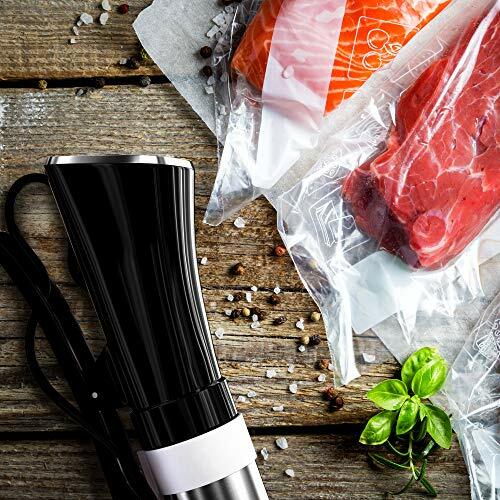 Once you try cooking sous vide style, it’s going to be hard to go back to traditional cooking methods. Anyone who tastes your meat dishes will wonder if you went to a cooking school! A bluetooth precision cookers is a sous vide purchase you won’t regret. They are also far cheaper than automatic sous vide machines and easier to use. Other innovations such as Wi-Fi connectivity are being developed as we speak.